reunions! Very quiet - no neighbors. The Mickelson Trail is nearby which is well maintained and very scenic. It winds through the Black Hills on an old railroad route covering 100 miles between Deadwood and Edgemont. There are hundreds of miles of trails right out the back gate for hiking. Call or email for details. The cabin is available during hunting season. No hunting is allowed on the property itself, but it is in the heart of some of the best turkey, elk and deer hunting around. Remember this beautiful property at Thanksgiving or Christmas time for your family gatherings. Family room has cozy sitting area and sofa bed. Peaceful view from the front deck - Property extends beyond pond in the distance. There are no words for how Amazing this property is....but, I'll try. Our group had four adults and two small children. Upon arrival, Jody met us there with a bottle of wine and a local paper; truly a gracious hostess. She showed us around, explained how some things worked, and gave us great travel tips for the area. 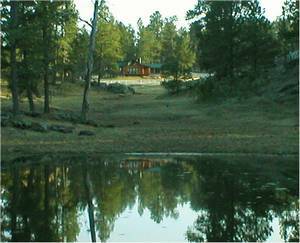 The cabin is on a gorgeous piece of property with a lake and beautiful views in every direction. We saw deer, marmots and a ton of birds. As for the inside of the cabin, the pictures do not do it justice. There are three bedrooms, 2 bathrooms, a sitting area, rec room, kitchen and dining area. The deck sprawls around the home and is covered, so we were able to sit out during rain storms. There is a jukebox, pinball machine, endless dvd's and board games. The kitchen is fully stocked with cookware and dinnerware, and the rest of the cabin has all the ammenities you would have at home. After a long car ride from Chicago, it was a pleasure just to get here and relax. The local grocery store has everything you need, but I found the prices to be slightly high; so if you're driving, try to bring what you can with you. Lots of things to do in Custer, Keystone, Hill City, Hot Springs; kids and adults all had a blast. WOW! What a place! My wife and I spent a week in September at Whitetail Springs Ranch for our anniversary. Couldn't have picked a better place! Jody's (the owner) little touches made it even better. The peace and quiet, the wildlife that was present, the proximity to everything else in the area - it was PERFECT. The house was simply gorgeous. I often worry that the pictures you are shown only highlight the best view, not the real picture. But as good as the pictures are on the website, the reality is even better. Not only do we highly recommend this place, we are looking for an opportunity to bring the entire family with us the next time. Thanks Jody for sharing your jewel with others! If it were mine, I would struggle sharing it! This place was a great place to stay. One of the funnest trips we have ever had. We went just after sturgis and have not had a better more relaxing vacation in a long time. My wife and I along with our three kids had a great time. The owner was great as well. 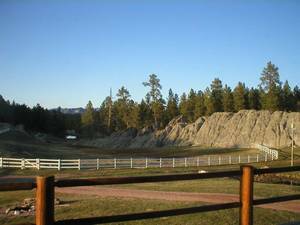 We had the pleasure of staying at this property for the Sturgis Rally 2008. It was very peaceful and the scenery was beautiful. Sitting on the porch in the evenings after a long day of riding was so relaxing. Even though the road into the property was gravel and dirt, it was not hard to manage on our motorcycles. We had a great time and would definitely stay there again. This was a wonderful place to stay - it could not have been nicer! 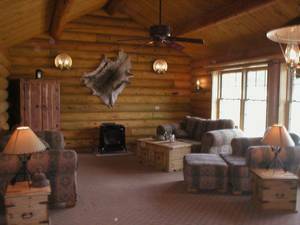 The large log cabin was clean, well appointed, and cozy. Our kids had plenty of room to spread out. The pictures on the website do not begin to show how welcoming and warm this property is. Jody and Terrance were great hosts, and made sure even the smallest amenities were in place to make our stay comfortable. 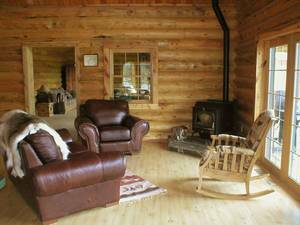 The property is beautiful and private, with a large covered deck for grilling and wildlife viewing. 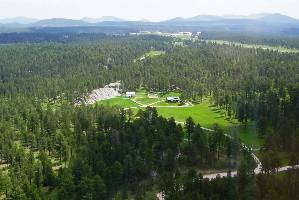 And the property is centrally located to all the sites we wanted to visit in the Black Hills. It sure beats staying in a hotel. Should we return to the Black Hills, we will stay here again in a heart beat. What a fabulous place to stay! We went in November and it was beautiful even then. The cabin is most magnificent and had everything we needed. Jody and Vernon were exceptional hosts. The deer kept us company, the trees gently swayed in the wind, the stars twinkled at night, and the air was fresh and crisp for morning walks. Being so close in proximity to all the signts is a great plus, but at night, you can return and enjoy the beauty of the area. 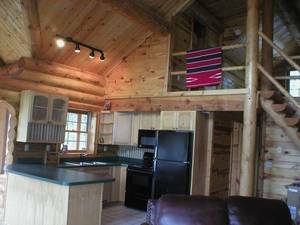 We highly recommend this lovely cabin and all the features it has. 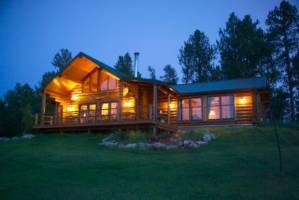 This was my first trip to South Dakota and it probably will not be my last,after staying in this awesome cabin. Jody thought of everything. The decor is as gorgeous as the sprawling fields outside. There is so much to do. The pictures of the home and surrounding area are not enough to prepare you for the enjoyment that you can expect there. The frolicking deer and privacy alone are well worth the trip. We went on a family vacation the end of Febuary. We had a great time and this place is beautiful and yet so close to town. It is a quiet place. My whole family truly enjoyed it~we had a great time. I would suggest this place to anyone. Clean and neat. Last spring my bookclub members had our first retreat at Whitetail Springs Ranch, and we had such a wonderful experience, we are coming back again this spring. We're right now counting down the days!! Jody was wonderful to work with, and the cabin and surrounding land is absolutely gorgeous. We had such an awesome time, we are extending our trip this year an extra day! This log home is so much more than you see in the pictures. Our family had so many activities planned and the minute we walked in the door we wanted to cancel them all. Relaxing, Peaceful, Wonderful Scenery and Wildlife. Every little detail has been thought of to give you an authentic South Dakotan experience. We would highly recommend and will definitely stay again. Thanks. Our bookclub rented the cabin for a weekend. What a wonderful stay! The accommodations were wonderful and the surroundings were beyond our expectations! We are making plans for our group to return next year. We can't say enough good things about our stay at Whitetail Springs Ranch. The location is private, quiet and beautiful. The house is comfortable, very attractive and has everything we needed to make our stay enjoyable. It's exactly what we'd hoped for. We will definitely stay there again. need. We highly recommend this property. 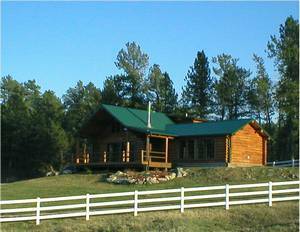 private, yet close to Custer and Hill City. will stay at Whitetail Springs Ranch again! RATES BASED ON 4 GUESTS. $25/PER PERSON FOR ADDITIONAL GUESTS. SHORTER STAYS MAY BE AVAILABLE FOR SMALL GROUPS. Deposit: 50% fee required to hold your reservation. The balance is due at check-in. A damage insurance fee of $59 is due at check in and will be included with the balance of the rent. Cancellations and Refunds: Cancellation policy - with 60 day notice the deposit is refunded (less $50 processing fee). With less notice the deposit is refunded when those days are re-rented (less $50 cancellation fee. Or we also can reschedule your stay to a later date. Pets possible upon approval with additional fee and deposit. Other Fees: Damage Insurance fee $59 Pet fee: $100 per pet, and $250 deposit.